We have had small successes in this community. The “fruits” of this program have been few but I have no doubt that it was a worthwhile endeavour and hope that the students will see the impact of this education in their future lives. 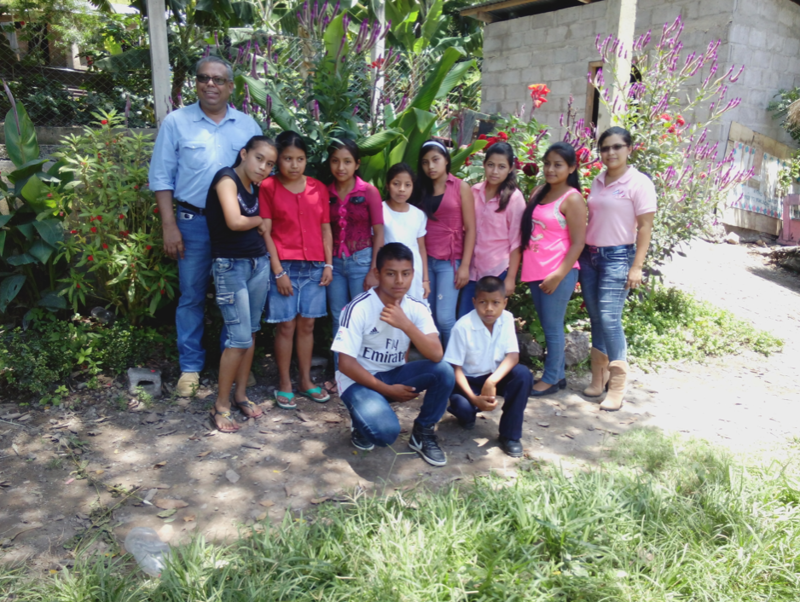 The good news is that the municipalidad plans on starting a “Centro basico” in a village not far from El Chilar so the students will have access to Grade 7,8, and 9 if they wish. That made my decision easier and firm. 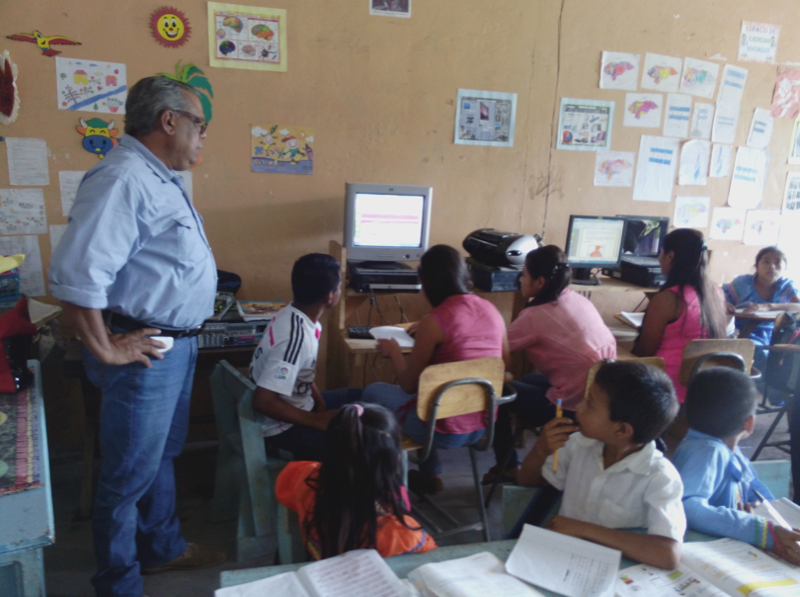 The computers that are functioning will be relocated to our other programs in Cuchilla Zappa and Rosario. 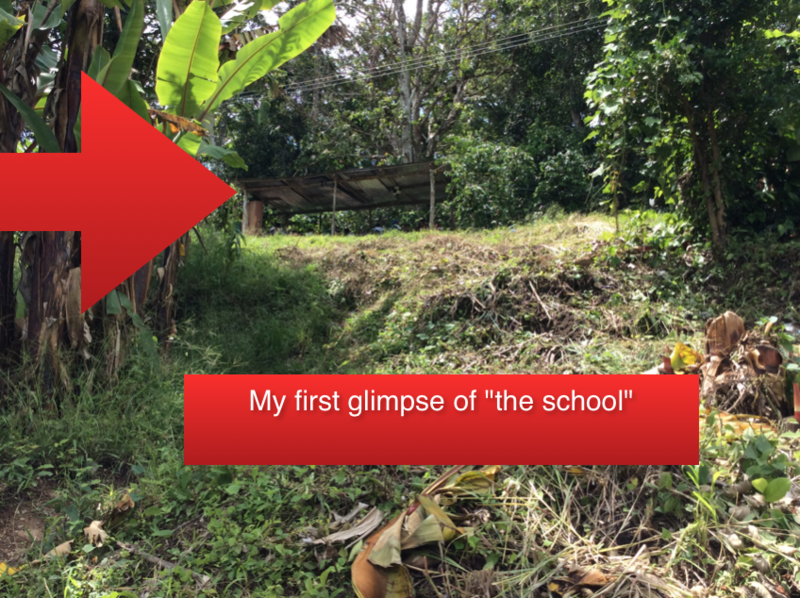 …Would I like to go see a community where they need a school? My “yes” is always a little tentative. Where is it I asked?…. About 30 minutes from here and then a little walk. So… down the road and down the road we went. 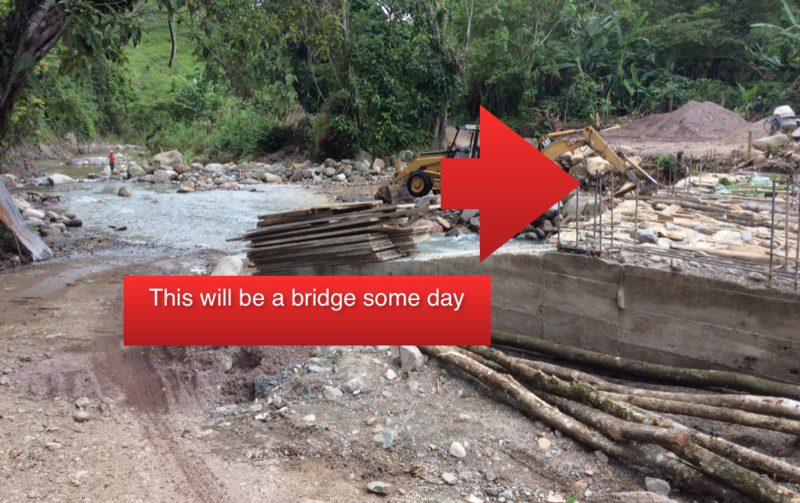 Over and through three rivers (one was deep enough water seeped into the truck). 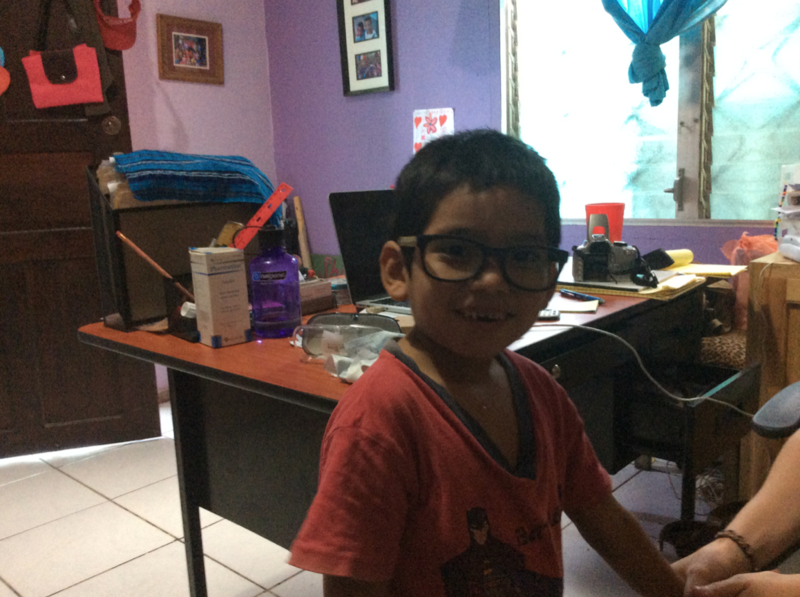 Eye glasses are so much cheaper in the United States that Emily (the director of Casita Copan) asked if she could have them shipped to me, for me to bring down to Copan. This little boy was so nervous. But when he was allowed to open the package the nervousness grew into excitement. 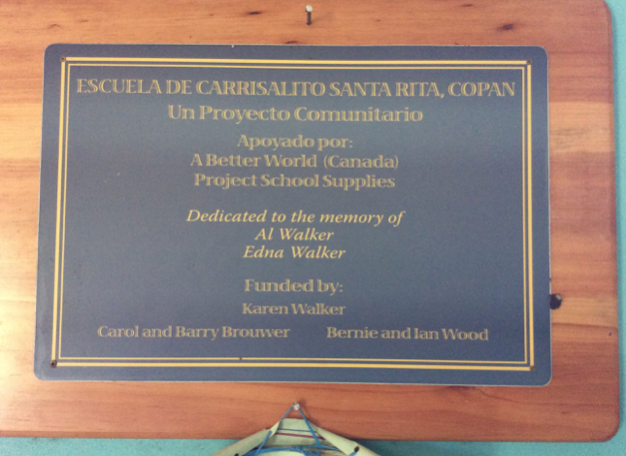 He asked about Karen and said he remembered how special her donation was to build the school. 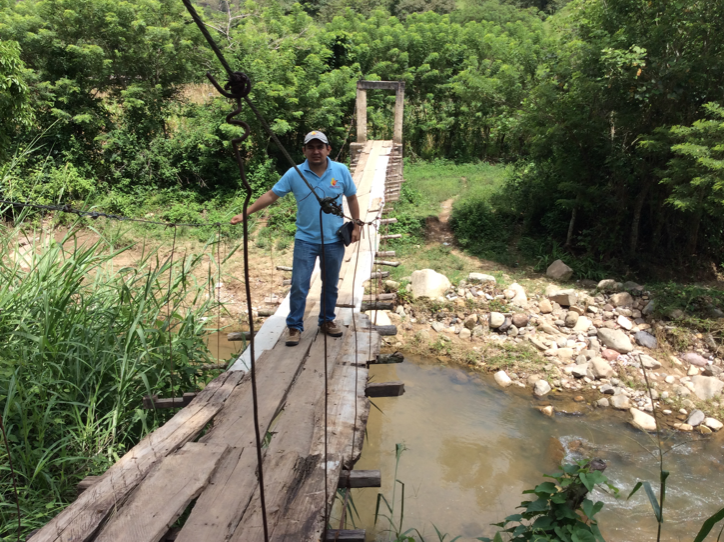 I think he and I made a deal today… he puts a teacher in the school next year, and A Better World supplies materials to build a school in Vega Grande. These are 4 of the 9 children we met today that are not attending school this year because Carizalito school is not open. 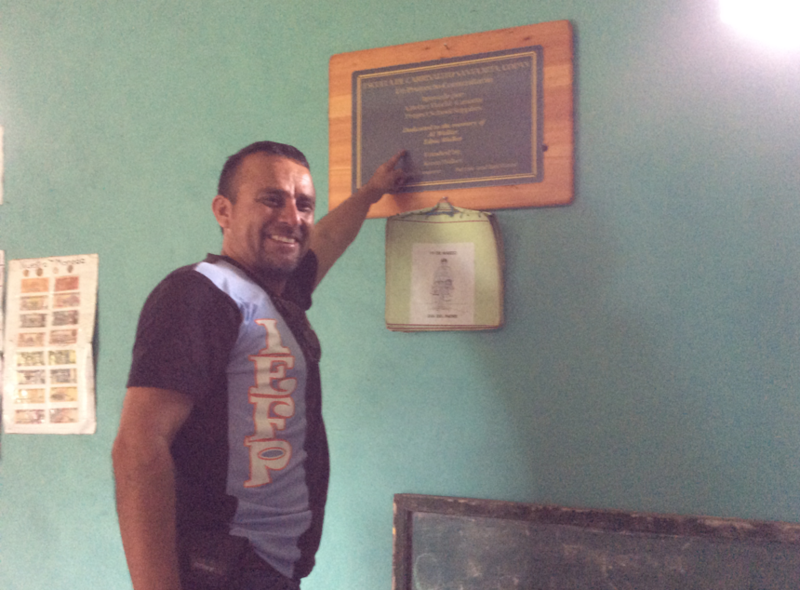 Robert Kern and I have been facilitating Brayan’s schooling and appropriate living situations since this little boy was 5. He is now 13 and is able to make his own choices. 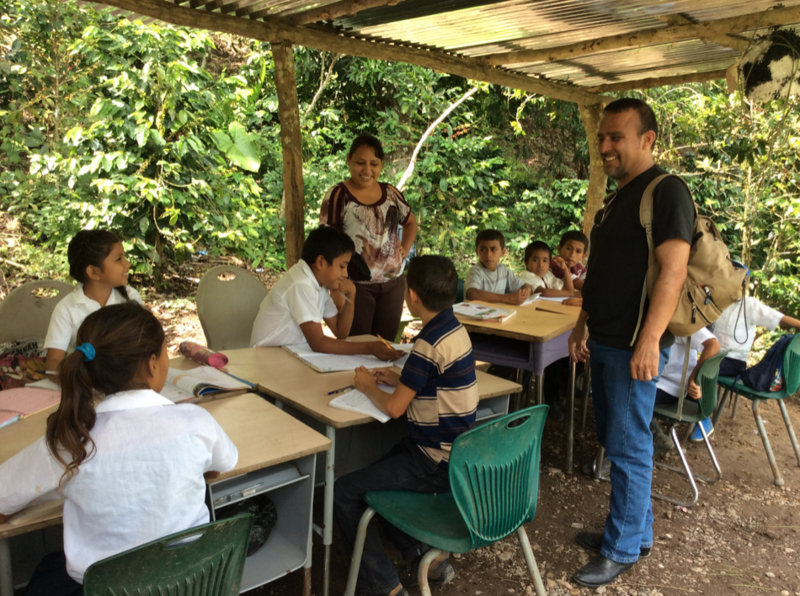 When given the options, Brayan chose to attend the Amigos school here in Copan and we were able to locate a host family for him to be with. 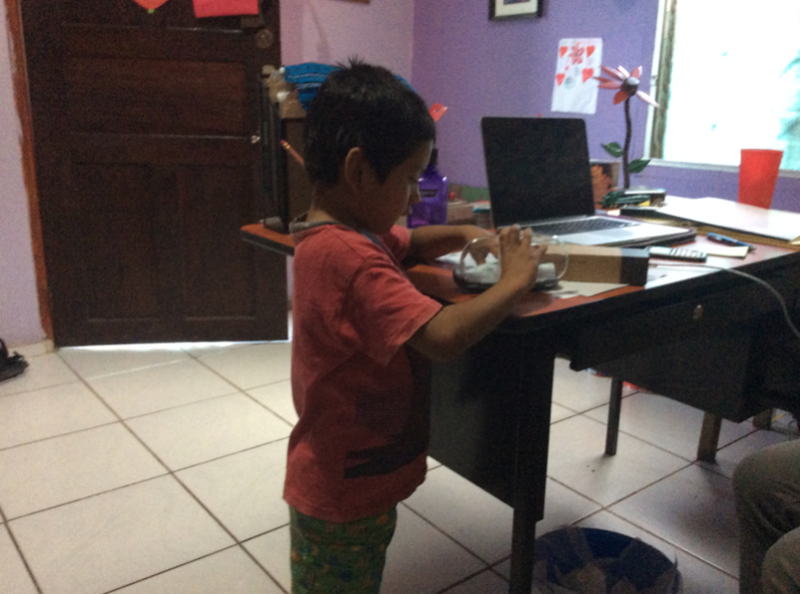 He seems so settled and happy this time… I think we have found a good combination of school and home for him. When school is done next month, he will go back to the little community in the hills to be with his mother and sisters for their three month vacation. 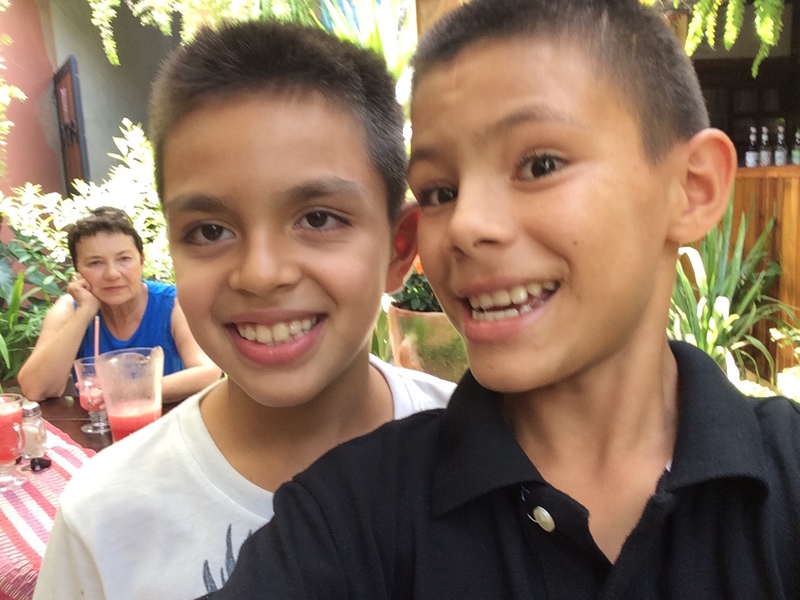 Brayan is a gentle, energetic, generous young person. He has had quite the life shuffled between parents and an orphanage, between schools and living situations. 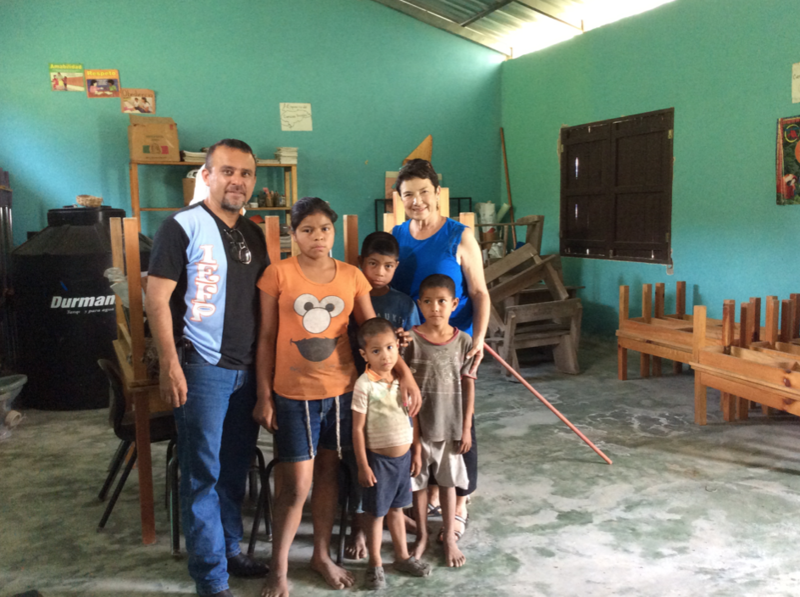 What some of these kids overcome and come out of smiling is quite amazing and it has been a privilege to be part of Brayan’s life. 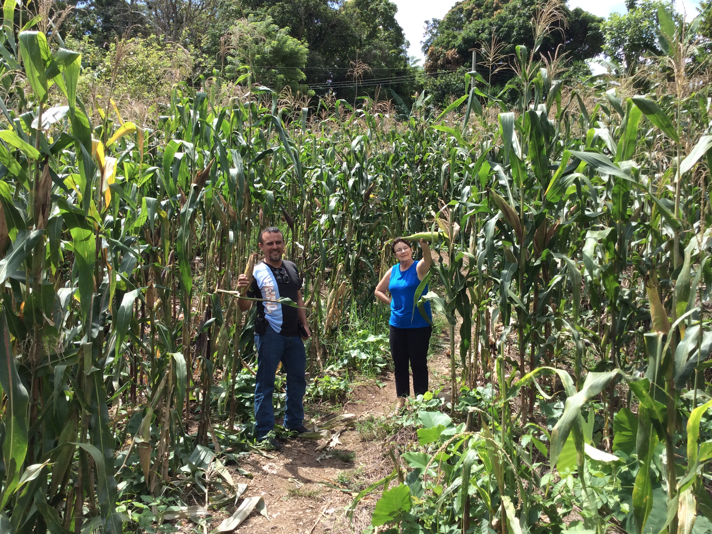 You are currently browsing the Carol in Honduras blog archives for October, 2015.